America's very first president was a man who could never tell a lie. It has been said that after young George cut down a nearby cherry tree he couldn't tell anyone he didn't. People would ask the future commander-in-chief about the tree and sure enough he would always say "I cannot tell a lie, I cut down that tree." Then people would look at the stump and see that it was badly chopped down, so it was determined that George Washington would never be a lumberjack. This meant he would join the army and later on become the first president of the United States. 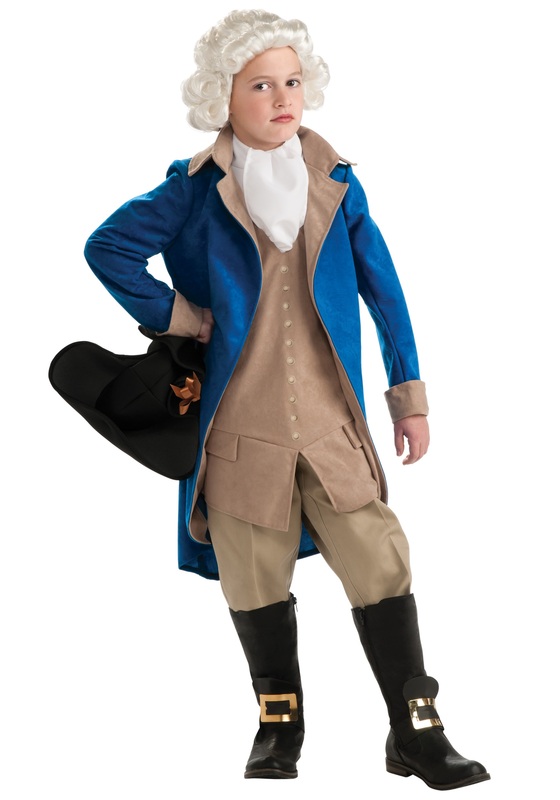 Now your child can pretend to be this political and historical icon! Just add a wig and buckled boot tops.